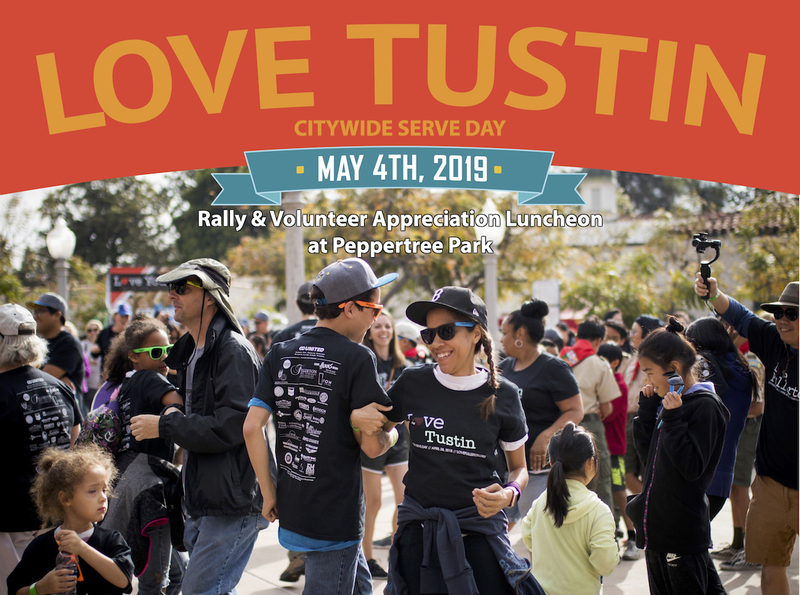 Love Tustin is an annual city-wide serve day led by the faith community that brings together multiple siloed groups, such as City Government Departments, First Responders, Charities & Non-profits, Local Businesses, Schools, Athletic Boosters, Church Community Outreach Programs and More! The idea is to create awareness of what we are all doing separately to take pride in and be a blessing to our community, to help us find synergies and work together where it makes sense to achieve common goals – and also just to get to know one another better. Any group that has a need can Suggest A Project, and Volunteers can then sign up to work on those projects. Projects include things like simple construction projects, painting projects, weeding a local school’s garden, picking up trash at a city park, food preparation, serving meals, etc. If you'd like to be a Sponsor, Volunteer, or just Donate to help defray the hard costs, please click one of the buttons above to get started. It's also not too late to Suggest a Project.